Reader, beware! Turn these pages and enter the world of the paranormal, where ghosts and ghouls alike creep just out of sight. 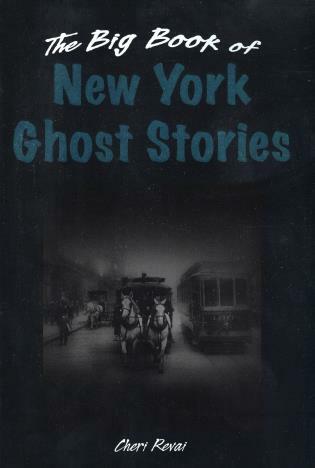 Author Cheri Farnsworthshines a light in the dark corners of New York and scares those spirits out of hiding in this thrilling collection. From apparitions and objects that fly off of tables at the Manhattan Bistro, to a specter that stalks Pulpit Rock in Lake Placid, there’s no shortage of bone-chilling tales to keep you up at night. Around the campfire or tucked away on a dark and stormy night, this big book of ghost stories is a hauntingly good read. Cheri Farnsworth is the author of Haunted New York, Haunted New York City, Haunted Connecticut, and Haunted Massachusetts. She is a North Country New York native and has traveled extensively to every nook and cranny of her beloved home state to gather traditional and new stories of ghosts and other paranormal phenomena.